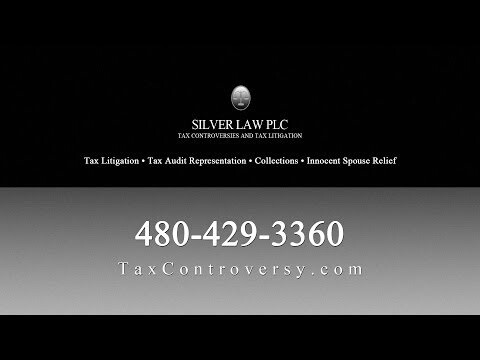 At Silver Law PLC, we offer more than 80 years of combined legal experience to individuals and businesses throughout Maricopa County and the Greater Phoenix Metropolitan area. We are licensed to handle matters in the state courts in Arizona, New Mexico and California, as well at the federal courts in Arizona, the U.S. Tax Court, the Court of Federal Claims and the United States Supreme Court. Our attorneys, all former IRS lawyers, handle all types of tax controversies, including litigation, tax audits, collections and innocent spouse issues. To learn more about our practice history, click on the link below to see our profiles. For a confidential consultation, contact our office or call us at 480-429-3360. Our office is open Monday through Friday, from 9 am until 5 pm, and evenings and weekends by appointment only. We are located in Kierland.